October 1, 2018 — October is Liver Awareness Month, which is the month used by the American Liver Foundation to raise public awareness of the importance of liver health. More than 30 million Americans have some form of liver disease. This October an Arizona transplant family is thrilled to be celebrating their toddler son’s now healthy liver and his second chance at life. Elijah Velazquez was born to adoring parents Shana and Miguel in June 2016. They were thrilled to welcome him into their family and for him to meet big sister, Caitlyn, who was three and a half years old. Once they started to settle into their new family-of-four lifestyle, everything seemed fine except for Baby Elijah’s bowel movements being quite painful and producing ‘bright green poop’ as Shana describes it. When he was three days old, Elijah was sent to the emergency room for his elevated bilirubin. After two additional visits to the ER, Elijah was admitted to Phoenix Children’s Hospital in August 2016; both Shana and Miguel were frightened and concerned. 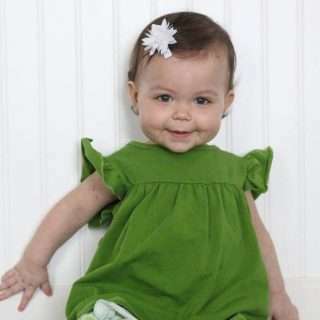 When the doctors told them the baby was in liver failure, they could not believe what they were hearing. Once his condition had a name, biliary atresia, the situation became very real and devastating. 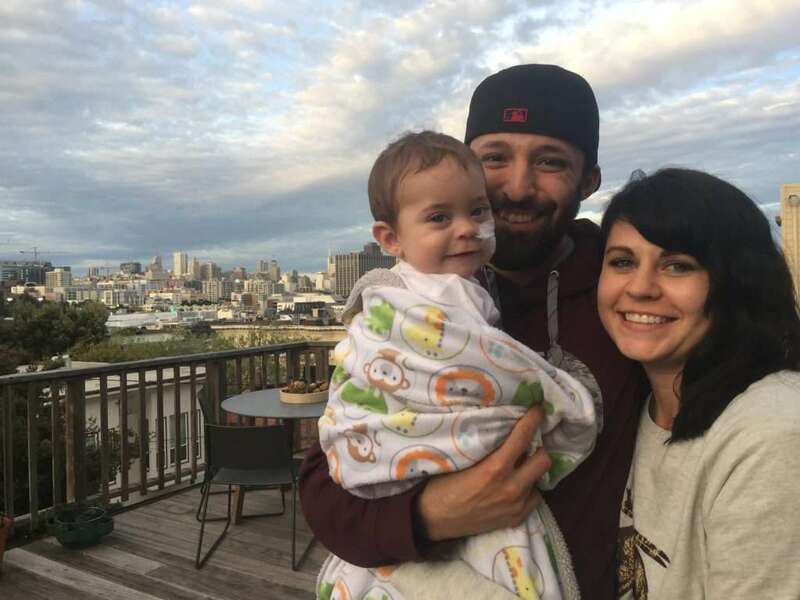 Elijah was suffering with a rare and deadly disease that causes bile to be trapped in the liver which poisons it and eventually leads to liver failure. “How did this happen? Why did this happen? How in the world are we going to pay for everything?” These were the types of questions Shana and Miguel were repeatedly asking themselves. In September 2016 Elijah was again admitted to Phoenix Children’s Hospital where he underwent the Kasai procedure, which is sometimes a ‘fix’ for biliary atresia babies and a way to postpone a liver transplant. During that surgical admit, Elijah’s doctors also placed an NG tube down his nose for feedings to go directly to his digestive system because the baby was having such a challenging time gaining weight. Elijah was discharged from Phoenix Children’s in October 2016 just a few days before his grandpa’s 60th birthday. The Velazquez family drove from Phoenix to San Diego to celebrate the birthday with Shana’s family, which was truly a blessing for this relatively new mom and dad who had already been spending more days in the hospital with their beautiful baby born than at their home. Shana says it was indeed a good and necessary trip with only one complication. Elijah had to be taken to the ER at Rady Children’s Hospital because his NG tube came out and needed to be replaced. By November Elijah had struggled with two different bouts of cholangitis, which is a very serious infection of the bile ducts and both times he had to be admitted to Phoenix Children’s. During these inpatient stays, Shana and Miguel were told Elijah was going to need a liver transplant before his first birthday in order for him to survive long term. They were both shaken by the news and kept wondering when the next shoe would fall. While it was the right decision for Elijah’s health, it was a challenging one for this young family trying to make ends meet on one salary. Shana was heartbroken to be separated from daughter Caitlyn; their time together was only possible when someone would drive her to Hacienda de los Niños to see her mommy and baby brother because Shana did not have a car. The Velazquez family was indeed struggling with the gravity of Elijah’s diagnosis and the thought of a liver transplant while trying to make enough money to make sure their family’s basic needs were taken care of. Witnessing this story from afar was Shana’s sister-in-law, Taryn Shappell, who was a social worker in California. Taryn had specifically been a transplant social worker assisting transplant families who found themselves exactly in the same place where Shana and Miguel were. Taryn suggested Shana and Miguel research the Children’s Organ Transplant Association (COTA), which was a fundraising organization she had referred her transplant families to for quite some time. In early December, Shana and Miguel signed the necessary paperwork for their family to become a COTA family and Aunt Taryn was thrilled. COTA uniquely understands that parents who care for a child or young adult before, during and after a life-saving transplant have enough to deal with, so COTA’s model shifts the responsibility for fundraising to a community team of trained volunteers. On January 11, 2017, a COTA fundraising specialist trained the volunteers for the COTA campaign in honor of Team Elijah V. COTA is a 501(c)3 charity so all contributions to COTA are tax deductible to the fullest extent of the law, and COTA funds are available for a patient’s lifetime. This group of family members and friends, i.e. COTA Miracle Makers, quickly got to work organizing fundraisers to help with mounting transplant-related expenses. Aunt Taryn volunteered to serve as the Public Relations Coordinator for COTA in honor of Team Elijah V.
In January, Miguel was told the family’s insurance coverage was changing and the new insurance provider would only cover a transplant at two places, one of which was the Lucile Packard Children’s Hospital in Palo Alto, California. This location made sense since Shana’s dad and stepmom lived in that area, as well as Aunt Taryn and her family, so Shana and Elijah moved 700+ miles away to San Francisco while Miguel and Caitlyn remained in Phoenix. 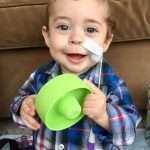 Within a week of their arrival at Lucile Packard for testing, Elijah was formally listed for a liver transplant. On February 12, 2017, Shana got the call they had been waiting for – a liver was available for Elijah and he was taken into surgery the next day. Unfortunately, Elijah’s post-transplant recovery had some pretty big obstacles that required him to be taken back to the operating room twice during the first week after he received his new liver. Shana is very thankful that Miguel and her mom were both able to fly to California to be with her and Elijah during this challenging time. By his second post-transplant week, Elijah seemed to have turned a corner. His skin color had changed and so had his eyes. He definitely was a baby who was feeling better. Miguel stayed in San Francisco for a month with Shana and Elijah, but he had to leave to return to his job in Phoenix and find a home for his family of four. In March, Shana and Elijah moved to the Ronald McDonald House at Palo Alto to be in close proximity to Lucile Packard for his many follow-up appointments, lab checks and medication changes. One of Shana’s post-transplant highlights was seeing Caitlyn when the little girl flew to San Francisco for a short visit. Shana had not seen her daughter for more than three months. They had a great time together, but Elijah caught a stomach bug from his big sister and was quite ill for over a week. This stomach bug also required him and Shana to move out of Ronald McDonald House so the illness would not spread to other vulnerable patients staying there. Shana and Elijah moved in with Shana’s dad and stepmom in San Francisco, 40 miles away from Lucile Packard. The Velazquez family (as do most transplant families) soon learned that Elijah’s life-saving liver transplant definitely came with ups and downs. One of the definite ‘ups’ was the nearly $42,000 the COTA in honor of Team Elijah V volunteers had raised for transplant-related expenses. Having support from COTA made the family’s transplant journey possible, according to Shana. Finally the big day came when Elijah and Shana got to return home to Phoenix. On May 20, 2017, Big Sister Caitlyn hosted a COTA Lemonade Stand at Pecos Park to celebrate their homecoming and to help by raising funds for transplant-related expenses. It was a big success and a great way to welcome her little brother home. Today, two-year-old Elijah is doing well. He still has many doctors’ appointments and takes numerous medications to keep his new liver healthy and his body happy. Shana says Elijah continues to gain weight and he has become a very active little boy who gets very excited anytime he hears the Star Wars theme song or gets to play with his big sister. “The one thing that stills scares me is the thought of school and lots of kids and viruses, given the anti-rejection meds that compromise his immune system that he will take forever,” Shana said. She understands watching Elijah grow up will come with many challenges including managing germs and his environments and watching his diet. But with the extra care he is sure to receive and a lot of love, this wide-eyed little boy should live a long and healthy life.